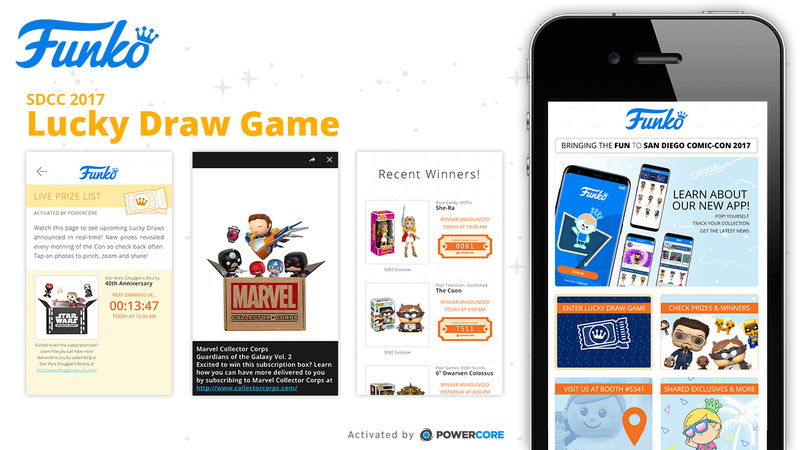 Pop-Culture Toy Maker Funko surprised fans with the launch of their brand new Funko App (currently in Beta) and made a big splash at San Diego Comic-Con 2017 with the official Funko SDCC 2017 Lucky Draw Game, activated by PowerCore! 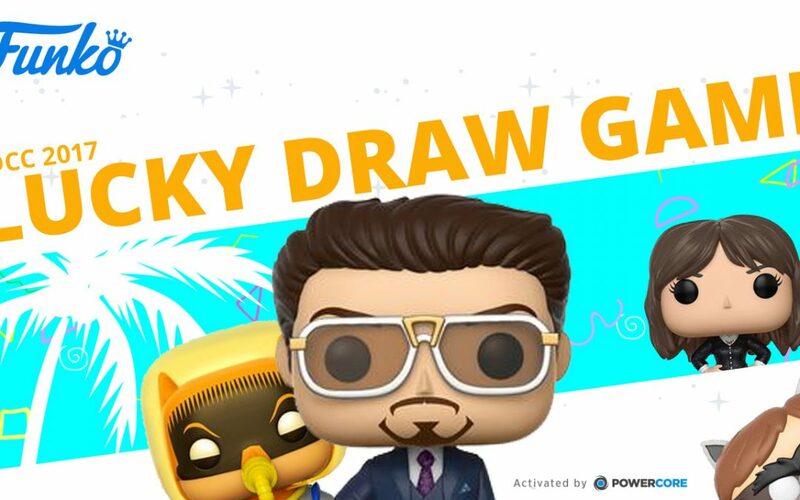 For players, participating was as easy as visiting https://funko.com/sdcc and grabbing a digital Lucky Draw ticket on your smartphone (no app or download required). Visitors could see live drawings occur every hour and players did not even have to be at Comic-Con to win special Funko SDCC 2017 exclusives. All players, whether in San Diego attending the Con or following from afar, could check in throughout the day to see newly announced ticket numbers and their corresponding prizes. The Funko SDCC 2017 Lucky Draw Game prizes included a wide array of TV, Movie and Pop Culture favorites such as DC power girl rivals Batgirl and Poison Ivy, Netflix’s Stranger Things characters Steve and Mr. Clarke, cartoon classics Ren & Stimpy, and Twin Peaks icons Agent Cooper and Laura Palmer. Special Funko Collector Subscription Boxes from DC, Marvel, Disney, and Star Wars were also part of the contest giveaway. A total of 42 prizes were drawn, providing a fun and innovative way to reward fans who couldn’t make it to SDCC and giving those die hard fans waiting in line an extra chance at their favorite exclusives. For a limited time, all prizes and winning tickets can still be seen at https://sdcc.funko.com/#prizes. The Funko App Beta is available now at https://funko.com/app. Cool features include the ability to keep track of your own collection of Funko Toys, notifications of upcoming releases, as well as the new “Pop! Yourself” feature where you can re-create yourself as a Pop! Vinyl figure. The Funko App will be the go-to place for all things Funko on your smartphone!